Soul Serenade: The Flirtations, "Nothing But A Heartache"
The Flirtations got together in 1962 in New York, but they were all from South Carolina. There were the three Pearce sisters, Ernestine, Shirley, and Betty, along with Lestine Johnson. They called themselves the Gypsies at the beginning, and by 1964 they were signed to Old Town Records. Their debut single for Old Town was “Hey There, Hey There,” and it got some local radio airplay. They did better with their next single, “Jerk It,” which was written by J.J. Jackson. That record was a Top Forty R&B hit, and crossed over to the pop chart, peaking at #111. The future seemed bright for the Gypsies, but Lestine Johnson decided to leave the group at that point. The Pearce sisters replaced her with Viola Billups. There were two more singles for Old Town in ’66, but neither one had much of an impact. The group left Old Town that year, signing with Josie Records, and also renamed themselves the Flirtations. Their first single for Josie was something called “Change My Darkness Into Light.” Years later it would become a Northern Soul favorite in the UK, but at the time no one paid it much attention. It was time to move on again, and this time the Flirtations landed on Festival Records. “Stronger Than Love Her Love” b/w “Settle Down” again failed to garner much attention. At that point Betty Pearce left the group, and the Flirtations went on as a trio. You would think an experienced group like the Flirtations would no longer have to do such things, but the trio entered a talent show which sought to determine which group could sound the most like the Supremes. 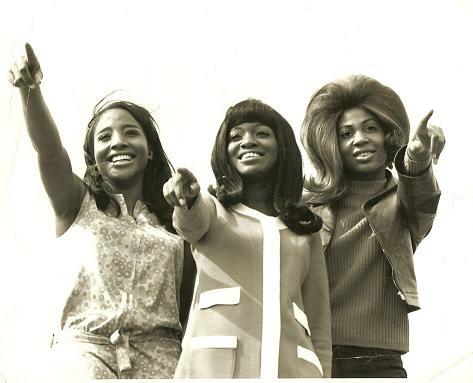 The Flirtations won, and headed for England, where they signed with Parrot Records in 1968. The label put them on as a support act for Tom Jones on his European tour that year. There was only one single for Parrot, “How Can You Tell Me,” which finally got the group some attention, and was even something of a hit in the Netherlands. At the end of 1968 the Flirtations signed with yet another label, Deram Records, and this one was the charm. Their first single for Deram was the record that made them famous. “Nothing but a Heartache” was written by Wayne Bickerton and Tony Waddington and almost hit the UK Top 50 on its initial release. The initial release of “Nothing but a Heartache” in the U.S. was not successful. When the song was re-released in early 1969 however, it began to climb the charts. The record had massive appeal in some markets. It reached #3 in Boston for example, but nationally it peaked at a very respectable #34 on the Billboard Hot 100. For some reason the Flirtations decided to follow up the success of their scorching dance record with a ballad called “South Carolina.” The record failed to crack the Top 100. “Keep On Searching” also failed to do any business for the group, and while “What’s Good About Goodbye My Love” made no pop impact, it did weigh-in at #17 on the R&B chart. “Can’t Stop Loving You,” another song by Bickerton and Waddington, did manage to crawl into the Top 100 on the pop chart. In 1971 the Flirtations released one last single for Deram, “Give Me Love,” but it wasn’t successful. There were personnel changes (Loretta Nobles replaced Viola Billups in 1972) and a succession of labels through the ’70s. During that era the group recorded for Polydor, Mojo, and RCA. There were a number of singles, and an album or two, but nothing that set the world on fire. The advent of the disco era brought renewed attention to the Flirtations, and they became darlings of the Northern Soul movement as well. In 1989 Billups was reunited with the Pearce Sisters and “Back On My Feet Again” became a huge hit in South Africa, reaching #6. More recently the Flirtations have recorded for Centre City Records, and their most recent single, “Roulette,” was released by Night Beat Records in 2009. More than 50 years after they began as the Gypsies, the Flirtations are still out there making music.